In his opening remarks on Nov. 4, K-State President Richard B. Myers told of the emotions he felt walking into a structure conceived in the 1920’s as a memorial to those who had served and lost their lives in World War I. “It’s a solemn structure because it’s a memorial, but it has found new life,” he said. “As the new front door of K-State, the Berney Family Welcome Center will be one of the first university facilities in the country to seamlessly connect future and current student experiences with career opportunities for its graduates,” said Dr. Pat Bosco, V.P. for Student Life and Dean of Students. 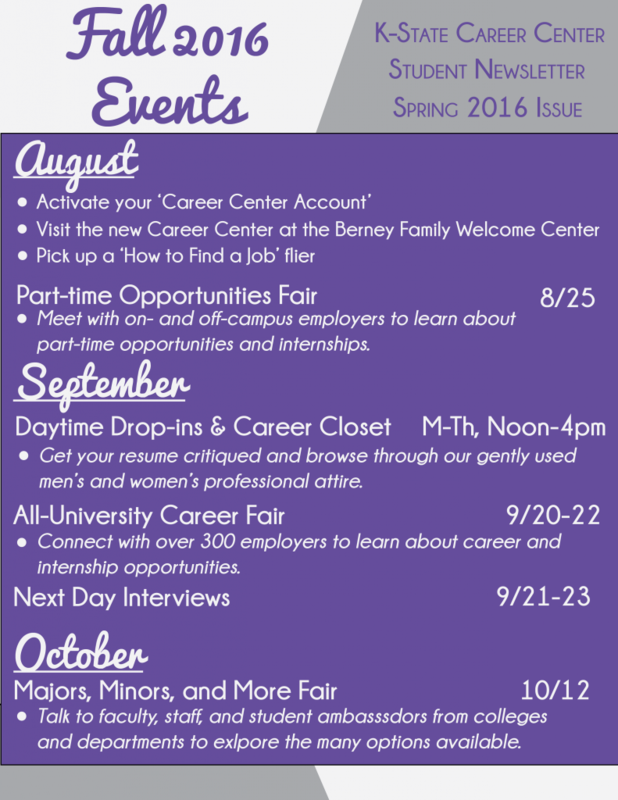 With the announcement of the May 2016 move to the Berney Family Welcome Center, Kansas State University’s Career and Employment Services will unite with the Academic and Career Information Center to become the K-State Career Center.